» Is an FHA loan right for you? If you have too much debt to qualify for a conventional mortgage, less than stellar credit scores or not much cash for a down payment, consider buying a home with an FHA loan. The Federal Housing Administration, a division of the Department of Housing and Urban Development, was created 80 years ago to help low- and moderate-income families borrow the money they need to buy a home. The FHA doesn't actually make home loans. It guarantees that lenders will be repaid if you default on the loan. That guarantee allows banks and mortgage companies to work with borrowers who might not be able to qualify for conventional home loans and at surprisingly competitive interest rates. The majority of lenders make these mortgages, and about 1 in 6 new home loans is backed by the FHA, according to Ellie Mae, a California-based mortgage technology firm. 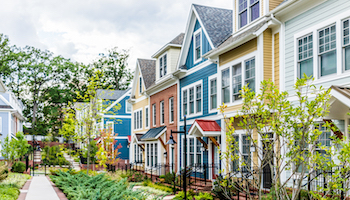 There are serious limits on how much you can borrow with an FHA loan for a single-family home, and the FHA raised them for 2019 — up to $314,827 for single-family homes in most parts of the country or as much as $726,525 in high-cost cities such as New York and San Francisco. But if the amount you need falls within those guidelines, here are the advantages to getting an FHA loan. Advantage 1. You'll need a smaller down payment. Most FHA mortgages require a 3.5% down payment — that's $3,500 for every $100,000 you borrow — and the average down payment on an FHA home loan is about 5%, according to Ellie Mae. That's far less than the 20% average for conventional home loans. Your down payment can be a gift from a relative, a friend or an organization that provides financial assistance. Many conventional mortgages require the down payment to come from a borrower's savings or other assets, such as proceeds from the sale of another home. The average FICO score for buyers who finance FHA loans is 675, according to Ellie Mae. That's considerably lower than the average score of 751 for conventional, non-FHA financing. So what's the secret to qualifying if you have a credit score in the low 700s or high 600s? Successful applicants usually have a two-year history of steady employment and paying their bills on time. You can get an FHA loan if you're self-employed. Just be ready to document your income with tax returns and financial statements from your business. Declared Chapter 7 bankruptcy, you usually must wait two years from the date of discharge before qualifying. Lost a home through foreclosure, you must wait three years. However, if you can prove that the foreclosure was caused by involuntary job loss or income reduction, and your payment history has been good since then, the waiting period can be as little as one year. Are delinquent on a federal debt, such as a student loan or income taxes, you can't get an FHA loan. Have a credit score lower than 500, you won't qualify under FHA guidelines. Most lenders have a higher minimum of 600. Advantage 3. You're allowed to carry more debt. According to Ellie Mae, the average borrower with a new FHA loan spends 29% of their gross, pretax income on housing costs — everything from mortgage payments and taxes to insurance and homeowner association fees. That homeowner also spends 44% of their income on all debt payments, which would be their housing costs plus car loans, student loans and credit card bills. The average buyer who finances with a conventional loan only spends 24% of their income on housing costs and 36% of their income on all recurring debt payments. Advantage 4. The interest rate is competitive. With the government standing behind your debt, lenders charge a much lower interest rate than your credit scores and debt might warrant. Ellie Mae says the average cost of a 30-year fixed-rate FHA loan, including both purchases and refinancings, is around 4.91%. That's just slightly higher than the average cost of a conventional loan, which is around 4.88%. So what's the big disadvantage to FHA financing? It's the mortgage insurance you must buy to offset the cost of that government guarantee. All borrowers, regardless of loan term or down payment, must pay the 1.75% up-front mortgage insurance premium at closing. That means you pay a $1,750 insurance premium on every $100,000 borrowed. While that sum can be added to your loan amount so you don't have to bring more cash to the table, it's still an extra charge. And if you finance it, you'll pay interest on it, too. Most borrowers will also have to pay monthly insurance premiums, which were actually reduced in January 2015 for 30-year fixed-rate mortgages. For a 30-year loan with a down payment of less than 5%, your premiums will be 0.85% (down from 1.35%) of the outstanding balance each year. That cost is typically divided into 12 monthly payments and added to your mortgage payment. That's $850 per year, or about $70 per month, per $100,000 of loan balance. If you put more than 5% down on a 30-year loan, your annual premiums will be 0.80% (down from 1.30%). It used to be that you only had to carry this insurance for at least five years on all loans longer than 15 years, or until the balance on your mortgage was down to 78% of the original purchase price, whichever took longer. Since mid-2013, new FHA borrowers who put down less than 10% have been required to pay these premiums for the life of the loan. This rule isn't changing. If you keep your FHA financing for 30 years, you'll pay significantly more in mortgage insurance premiums than you would with a conventional loan and private mortgage insurance. That's because on non-FHA loans, borrowers can usually drop private mortgage insurance once the loan balance is down to 80% of the purchase price and after as little as one year. 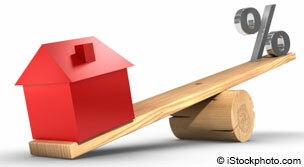 Conventional loans also allow you to count home price appreciation toward obtaining the needed equity. FHA mortgages do not.